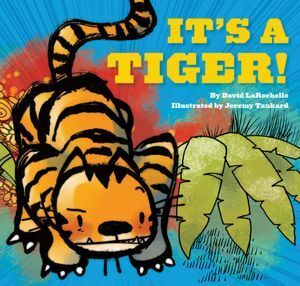 David LaRochelle’s It’s a Tiger! makes the kids yell and laugh. Of course, I ham it up a bit. 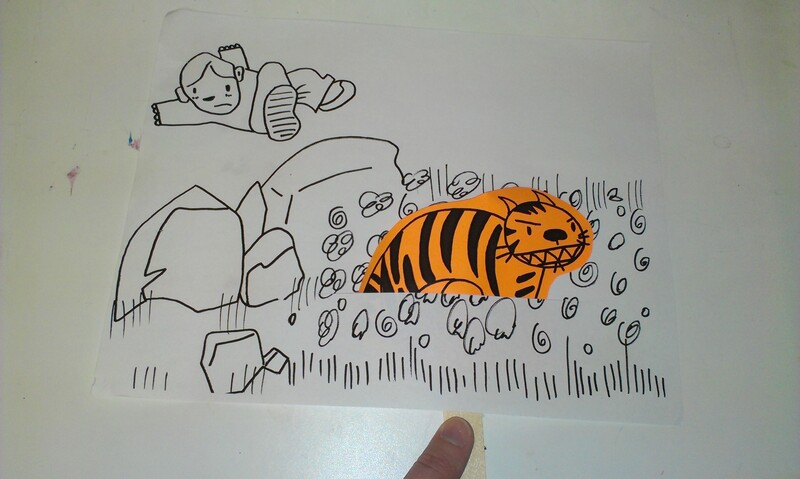 I wanted to make a craft to accompany the story: Its a Tiger craft. Copy the first page on white paper and cut a slit in the flower patch. Copy page two on orange paper (one page makes four crafts). Cut out the tigers and glue onto craft sticks to make a pop up surprise! For more ideas, check out Saturday Share. This entry was posted on February 28, 2014 by mrsshaia in Crafts, Interactive stories, Saturday Share and tagged Crafts, Interactive stories, Saturday Share.